I heard you playing whilst walking around central a few days ago. You played Skoryk’s Melody, and brought my mother to tears. You put so much emotion in to your playing, it was beautiful. Thank you. Of course we purchased your CD. However I was a little disappointed that there was not more information about you on your website. Please update! And maybe include a few clips of you playing. You are amazing. 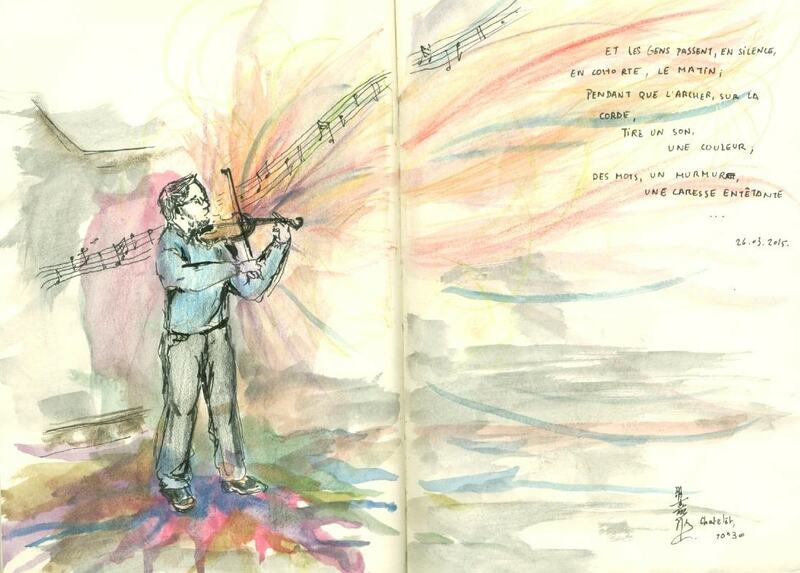 Here is the drawing I made last week, when you were playing violin at Châtelet!